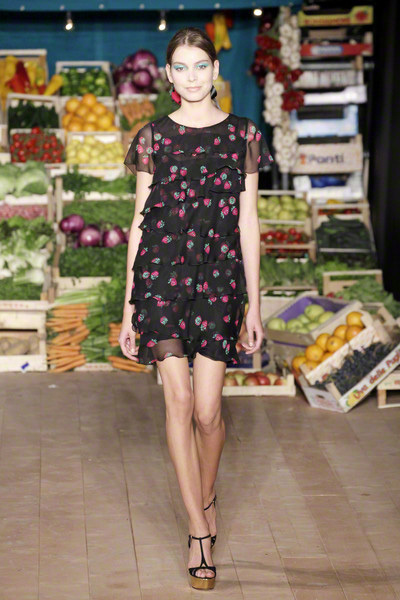 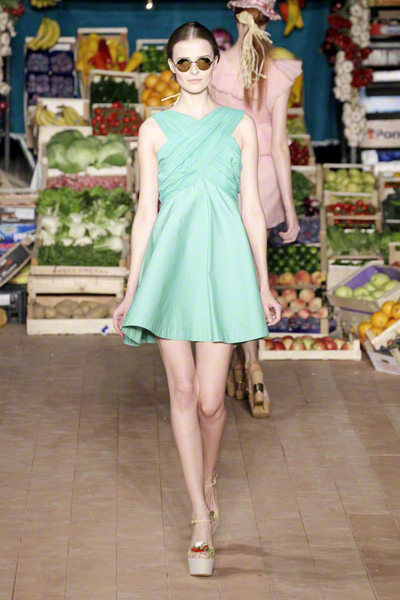 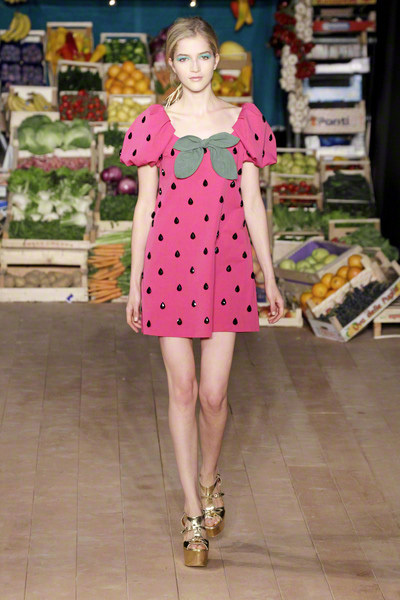 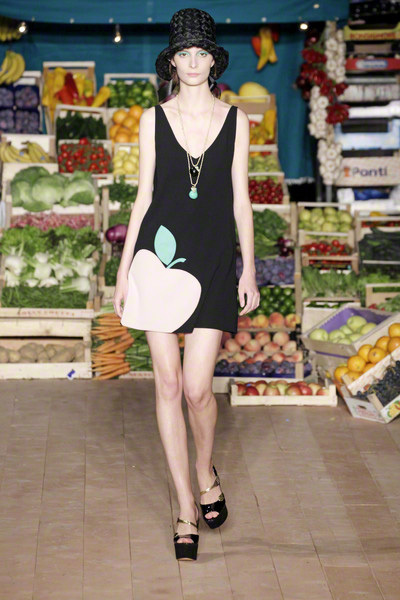 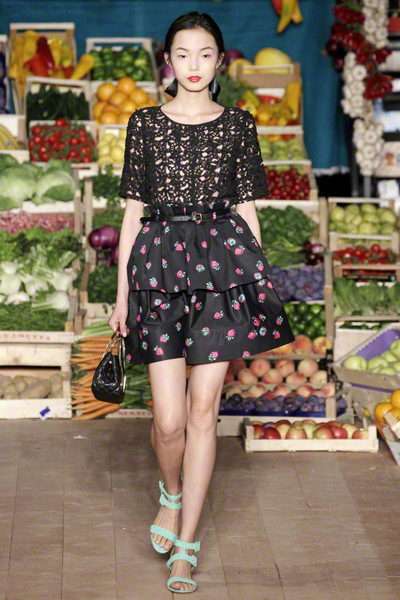 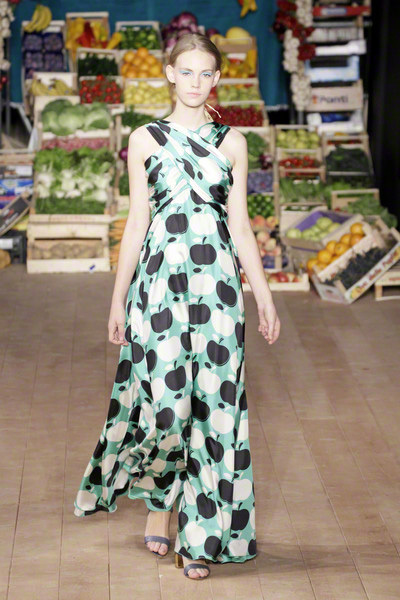 The show opened with a – again pretty literal – strawberry dress, followed by some apple printed looks. 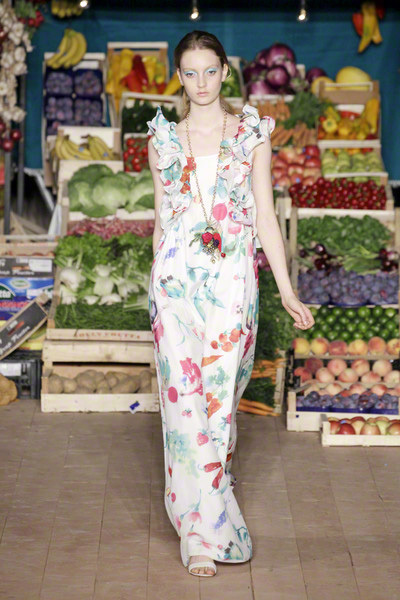 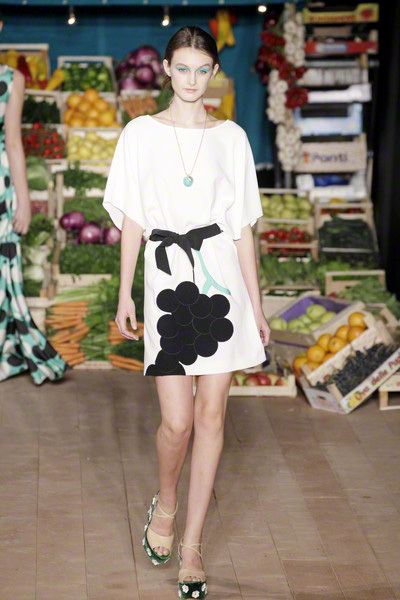 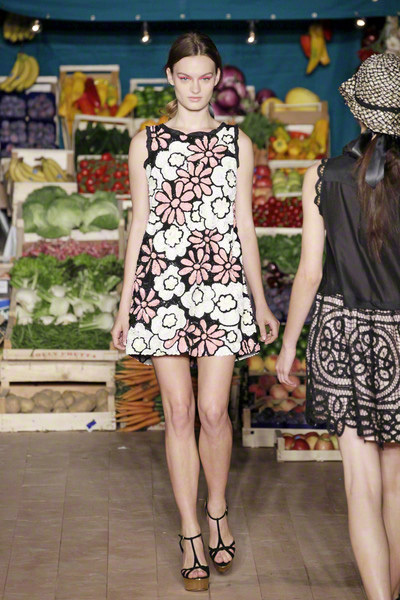 We saw grapes and carrots too, as well as some amazing floral prints. 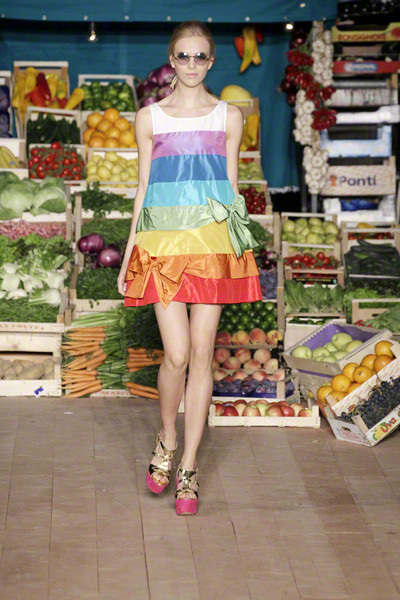 It was a bit of everything related to fruit & vegetables actually. 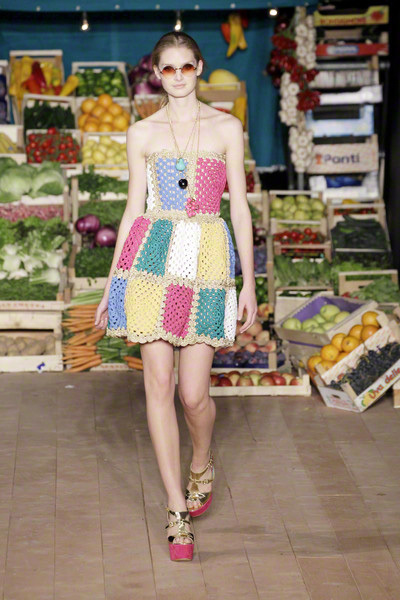 Of course the accessories matched the subject. 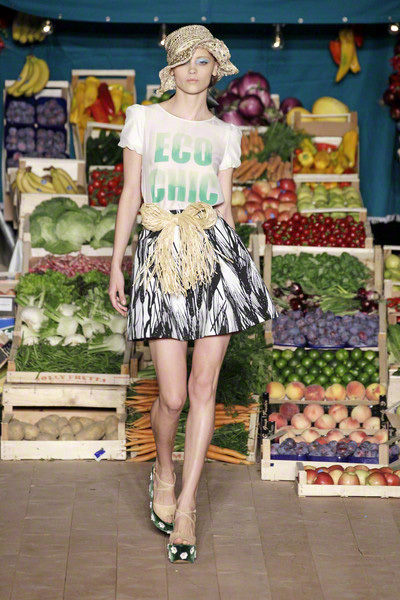 Models wore John Lennon glasses, straw hats and bows made of straw were attached to some of the looks. 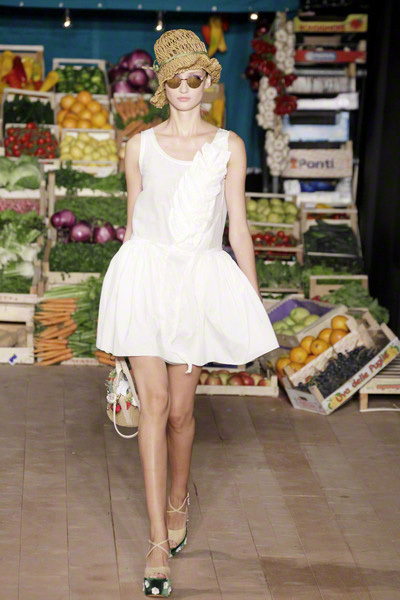 Even a carrot hat piece appeared at some point. 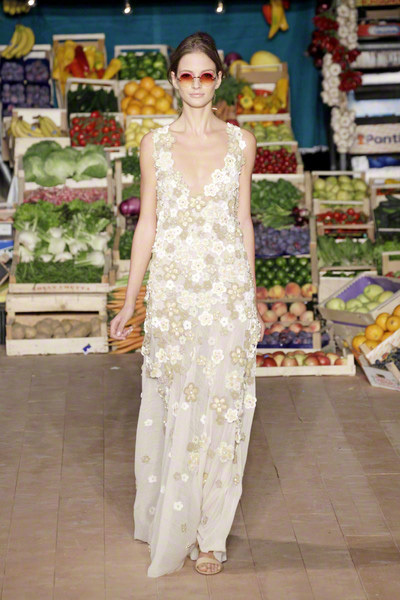 The puffy dresses were girly and fun, yet it were the maxi dresses which made the most impact. 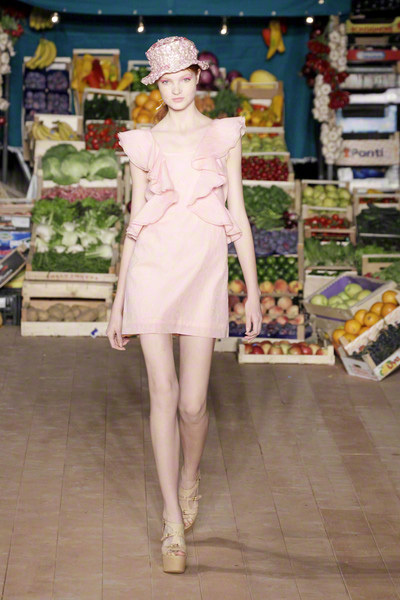 The looks were fun and bubbly, but not jaw-dropping. 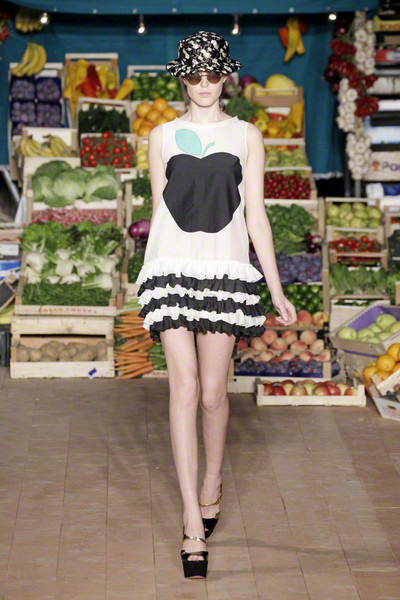 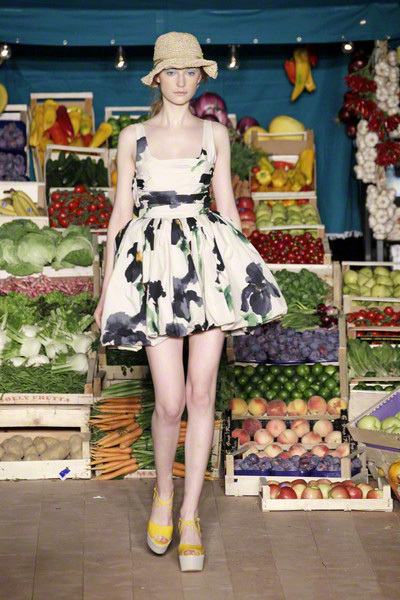 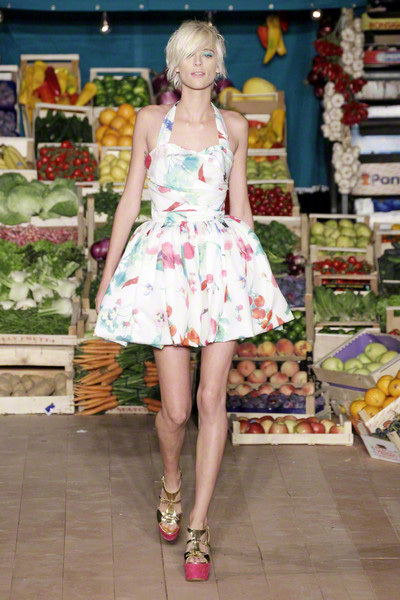 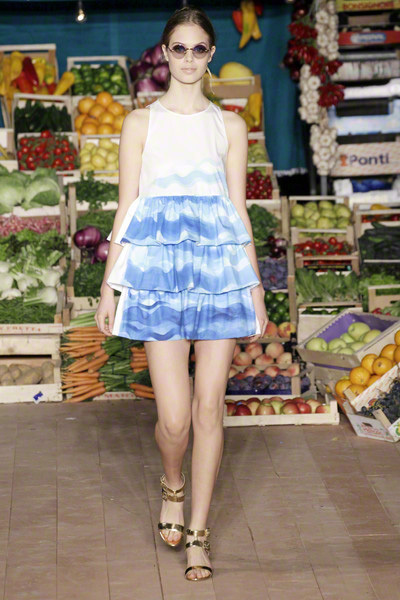 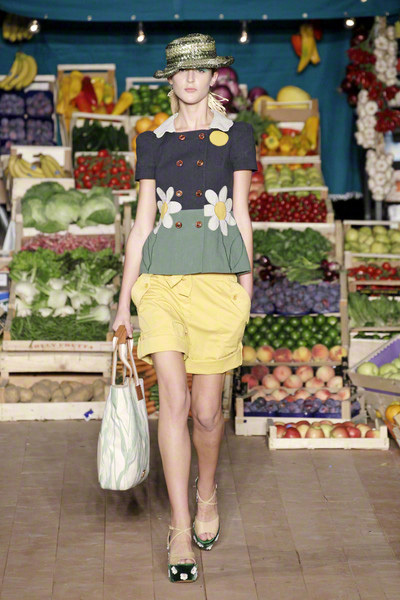 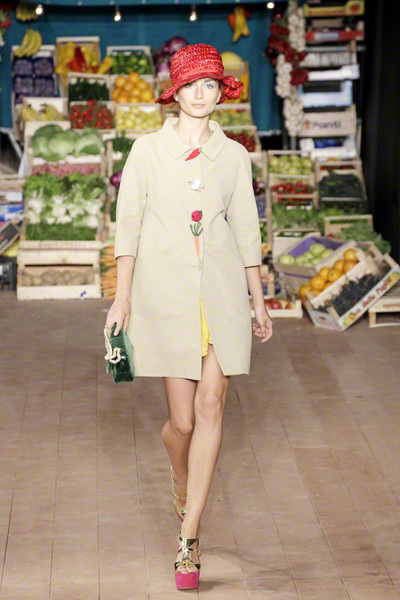 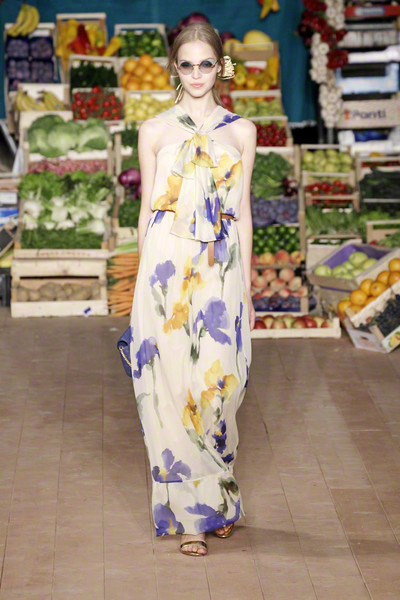 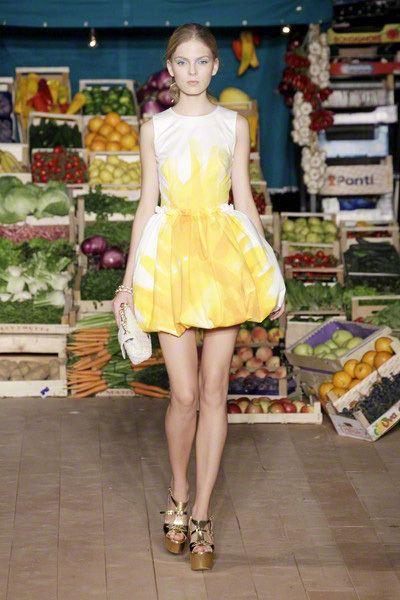 Perhaps Moschino should have focused a little less on the fruit prints, although we kinda loved the healthy vibe we got from this show.